Home / Opinion / Is Toni Kroos the best Signing of this year? When on July 17 Real Madrid formally confirmed the acquisition of the German World Cup winning midfielder, Toni Kroos, from Bayern Munich for a fee reported to be in the region of £20 million, football lovers everywhere could have been forgiven for blinking in disbelief at the size of the sum that the clubs agreed. And, from a Madrid point of view, I mean this in the most positive way possible: Kroos is worth at least twice that amount. To acquire a player of Kroos’ quality for such a relatively small fee constitutes a real coup for Madrid. The signing has demonstrated well Real’s now characteristic shrewdness in the transfer market. Perez and Ancelotti moved quickly to secure the player having been made aware of the fact that negotiations to renew Kroos’ contract at the Allianz Arena had stalled over wage demands in the previous few months. 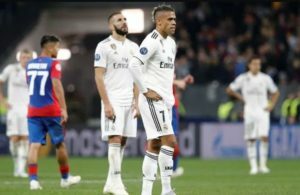 The midfielder had only a year to run on his previous deal and even a club of Munich’s financial stature could not afford to allow a player of Kroos’ value to run his contract and leave on a free transfer in twelve months’ time. Real moved swiftly in to secure the player for what is a knock-down fee. To put the Kroos money in context, just a week or so before the German completed his move to the Bernabeu, Liverpool announced the £25 million signing of Adam Lallana from Southampton. The contrast between the two player’s quality is stark. Where Lallana has had one strong (but hardly outstanding) season for a mid-table team in the Premier League and was only a bit-part player in England’s disastrous 2014 World Cup campaign, Kroos has now consistently been one of the outstanding midfield performers in European football for the previous three seasons since breaking into the Bayern Munich first team under Jupp Heynckes in the 2011-12 campaign. Kroos featured in Bayern’s narrow penalty-shootout defeat in the 2012 Champions League Final as a 22 year-old and he formed a key midfield constituent of Heynckes’ treble winning team in 2012-13. At 24, Kroos has already won three Bundesliga medals, three German Cups, a Champions League, and a World Cup. Lallana, at a cost of £5 million more than Kroos, has won nothing. But aside from the move’s economic shrewdness, Kroos gives Madridistas everywhere a real cause for excitement in a footballing sense ahead of the new league season. Technically Kroos is immaculate; he possesses excellent vision and is undoubtedly one of the most accomplished ball-players of this remarkably gifted generation of German footballers. The fact that the past two-seasons have seen Kroos adapt his game from that of a conventional No. 10 to a deeper-lying playmaker role stands as great testament to his football intelligence and positional versatility. 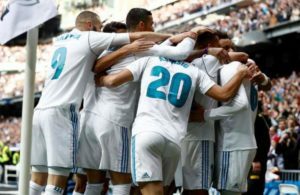 Real may well have secured the long term successor to Xabi Alonso at the heart of the midfield and they did so at a bargain price. 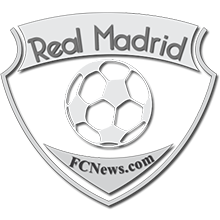 ← Previous Story Where Does James Rodriguez Fit In At Real? Next Story → What does the Future hold for Karim Benzema?